I want to share with you the reason I created True Blue Records. I lost my mother to a vicious and unrelenting disease called Pancreatic Cancer. For some reason this loss was profound and deep beyond what any words could explain. My mother went into a coma after a brutal surgical procedure. The Doctors were quick to inform me and my family that she would not recover from this state. I adamantly told them they were wrong and that I knew she would come out of it. Unfortunately this heartfelt announcement was met with anger and ridicule as no one believed me. I decided the next day to sing to my mother and softly speak to her. I only did this one time and after a few days she did indeed miraculously wake up as I knew she would. Even though she could not initially speak she wrote the words S I N G on my hand. My mother lived another year and during that time she emphatically told me I must do something with the sound of my voice as it soothed and comforted her while she was in that terrible state. She said it was all she could remember and she seemed amazed that its effect was so powerful. Although it was unspoken between us I knew she was telling me that it helped to guide her back. 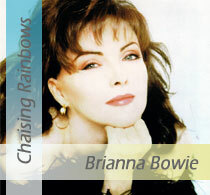 When I recorded my debut jazz CD, “Chasing Rainbows” I received a lot of resistance from my musicians for wanting to sing “Somewhere over the Rainbow”, a song I somehow through the grace of God managed to sing at my mother’s funeral. I had a dream that inspired me to sing it in ¾ time which had never been done before. I was sure that idea came down from the heavens through my mother as “Somewhere over the Rainbow” soon became the cornerstone of “Chasing Rainbows”. True to my mother’s request I decided that if I could help her perhaps I could help sick children whether at home or in a hospital or in a comatose state. A dear friend once said to me that although I have no children from my womb, that these poems I have written are for the children born from my heart. 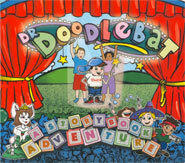 So Dr. Doodle bat – A Storybook Adventure was created as the second project for True Blue Records. 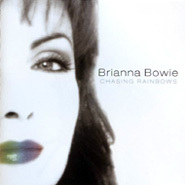 Lastly, when I wrote the liner notes for “Chasing Rainbows”, Canada Disc who was doing all the graphics, artwork and duplication processes for me, asked what the name of the label was for my projects. I immediately heard my mother’s soft but insistent voice say “True Blue”. Look to see many more children’s, jazz and an all original pop project that is already in development. Now you know my story, now you know my heart and I hope that you will now support my vision for this company by purchasing True Blue Products as they come available. All these wonderful rare works of art that I hope to continue to create would not have been possible without the love of an amazing mother. To learn more about my efforts to eradicate Pancreatic Cancer please visit: www.jbfund.ca. Portions of proceeds from all True Blue Projects go towards “The Joanne Bowie Champions Fund for Pancreatic Cancer”.